Breath Therapeutics Announces Initiation of Global Phase 3 Trials for the Treatment of Bronchiolitis Obliterans Syndrome. Breath Therapeutics’ lead drug candidate, L-CsA-i, is a proprietary liposomal formulation of cyclosporine A for inhalation administered via a drug-specific investigational eFlow® Technology nebuliser. PARI Pharma’s eFlow® Technology device, LAMIRA™, approved as the only nebulizer system to deliver Insmed’s ARIKAYCE® (amikacin liposome inhalation suspension). 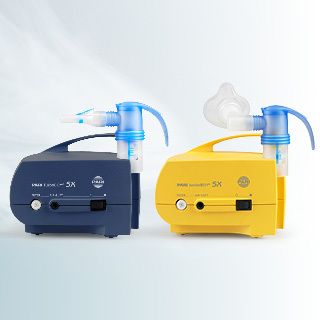 LONHALA MAGNAIR Inhalation Solution is the first nebulized long-acting muscarinic antagonist (LAMA) approved for the treatment of COPD in the U.S.